MitiServe Restoration is a non-franchised, family owned and operated company based in Harrison, Arkansas. MitiServe's foundations can be traced back to 20 years ago. That's when Shane Wallis, founder of Wallis Construction Inc., began noticing restoration work through his construction business. At the time, Wallis Construction was often coming behind local restoration contractors completing the reconstruction of fire and water damaged properties. It was at that moment Mr. Wallis realized there might be a local opportunity to market a single company that integrated both restoration and construction. Shane continued on with his construction business but began taking on restoration work shortly thereafter. Through word of mouth, business started to pick up. Sometime after 2010, he came back to his idea about starting a single restoration and construction company. The timing was ripe. MitiServe Restoration was born! 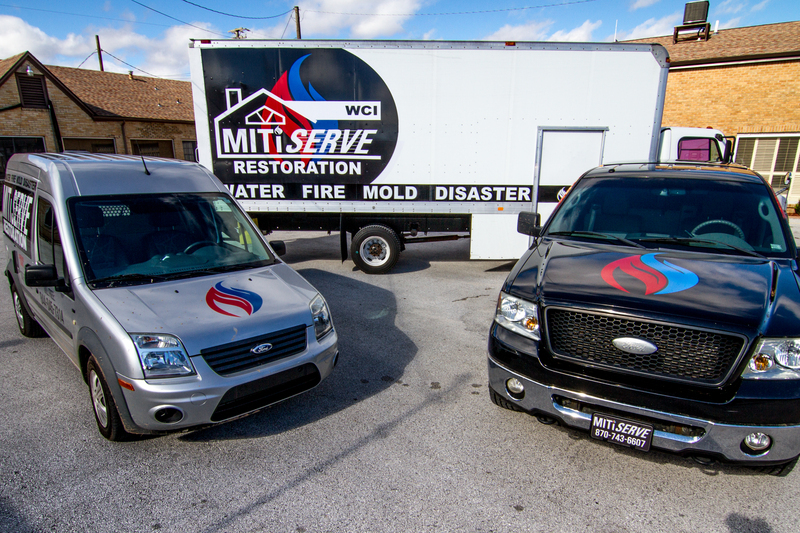 At this point, MitiServe had two employees, one vehicle, and about 2,000 square feet of space. But it worked! Today, MitiServe consists of two generations of family and a host of others we call family. A lot has changed. We have now moved into a 10,500 sq ft all-purpose facility, utilize a cutting-edge contents cleaning facility, and provide the latest restoration technology. However, with our continued growth, one thing hasn't and will never change: our commitment to providing the highest level of customer service.